Peter M. Fleischut, MD, is Senior Vice President and Chief Transformation Officer of NewYork-Presbyterian Hospital where he is responsible for the DHK ambulatory center, enterprise integration, logistics, innovation and pharmacy. He joined NewYork-Presbyterian Hospital in 2006 and has held roles as Medical Director of the operating rooms, Deputy Quality Patient Safety Officer, Founding Director of the Center for Perioperative Outcomes, Vice Chairman, Chief Medical Information Officer, Chief Innovation Officer and Chief Medical Operating Officer. Dr. Fleischut retains his appointment as Associate Professor of Anesthesiology. Dr. Fleischut received his MD, Alpha Omega Alpha from Sidney Kimmel Medical College at Thomas Jefferson University and graduated from Wharton School at the University of Pennsylvania, completed his residency training in Anesthesiology at NewYork-Presbyterian/Weill Cornell Medicine. He distinguished himself by becoming one of the founding members of the Housestaff Quality Council©, an organization formed to improve patient care and safety at NYP by creating a culture that promotes greater housestaff participation, and served as Resident Quality and Patient Safety Officer for NYP. Dr. Fleischut has received several awards, including the David A. Leach Award for Innovation in Quality from the Accreditation Council on Graduate Medical Education, the John M. Eisenberg Patient Safety and Quality Award from the National Quality Forum and The Joint Commission, and the Weill Cornell Medical College Healthcare Leadership Award. In 2013, he was named one of twelve Up and Comers by Modern Healthcare, recognizing healthcare leaders under the age of 40, and was also named Physician of the Year at NYP/Weill Cornell. In 2014, he was named one of the 25 healthcare leaders under 40 by Becker’s Hospital Review. In 2015, he received the InformationWeek Elite 100 Award, the City & State Reports Corporate Social Responsibility Vanguard Award, and was named to City & State Reports Responsible 100 List. 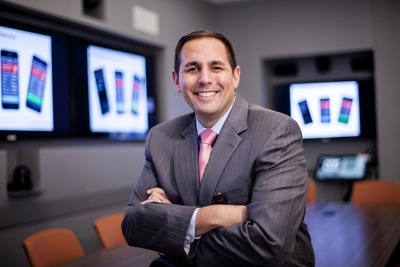 In 2016 and 2017, he received the CIO100 recognition, InformationWeek award and the Presidents award from the American Telehealth Association for healthcare redesign for the release of NYP OnDemand. Explain the strategy and components of NYP OnDemand, a suite of digital health services. Describe the impact of virtualization (suite of services) on access to care. NewYork-Presbyterian (NYP) launched NYP OnDemand in 2016, a comprehensive suite of digital health services designed to improve and expand patient care and extend physician access. Through six different services including urgent care, second opinions and virtual visits, patients can access care and expertise from ColumbiaDoctors and Weill Cornell Medicine via their mobile phone, tablet, or computer. Fleischut, MD, Peter, "Health Transformation: Preparing Population Health Leaders for the Future" (2017). College of Population Health Forum. Presentation 115.